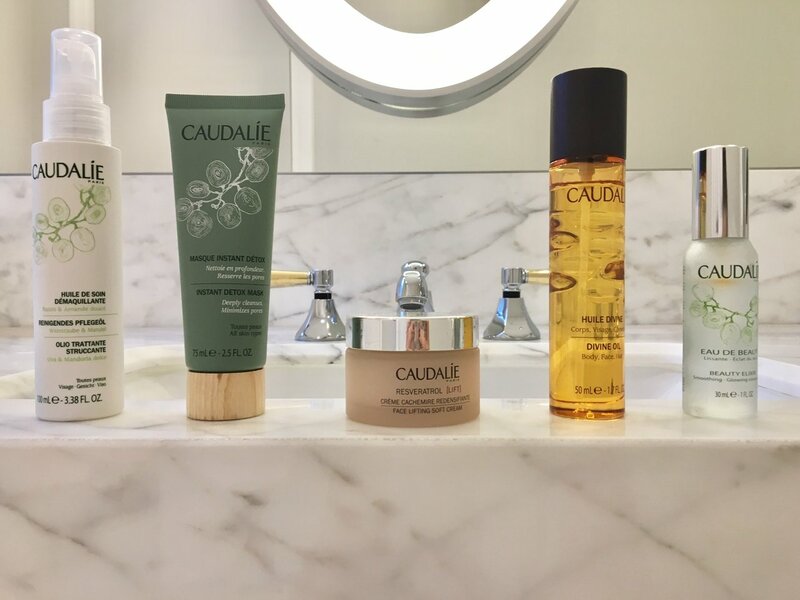 There’s nothing I love more than a trip to a spa, especially if it involves a brand like Caudalie. But lets face it it’s definitely a treat and can’t be had all the time. So for the times in between I like to take the spa home. I am also a big believer of if you’re gonna pay for facials your wasting your money if you don’t continue to look after your skin at home. To start your pamper start by lighting as many candles as you can get your hands on. Then run a hot bubble bath, it must have loads of bubble, I’m taking mountains of them. No skimping. 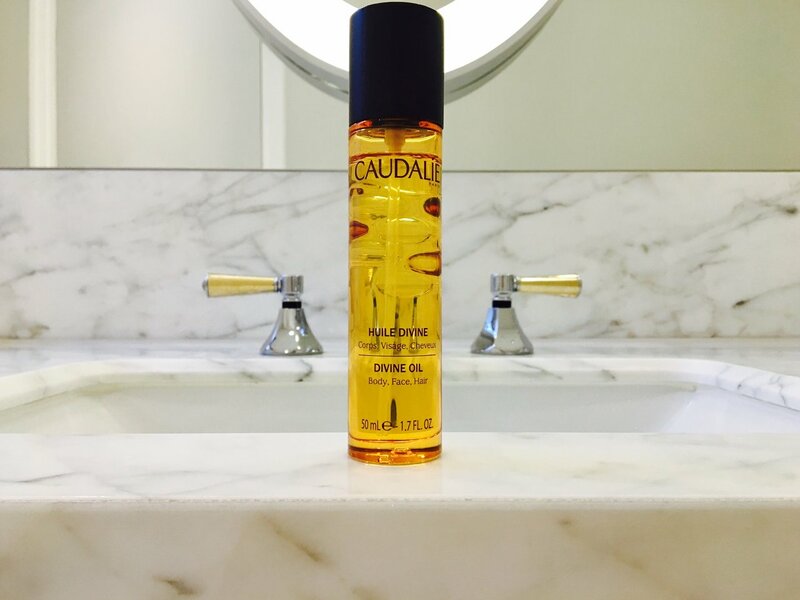 Massage a generous amount of the cleansing oil into your skin. Not only does this remove make up and even stubborn mascara but it has grape seed oil to nourish and repair along with almond oil to soothe. It feels so luxurious and silky that it’s a genuine pleasure to use and sends you on your way to feeling lovely and relaxed. 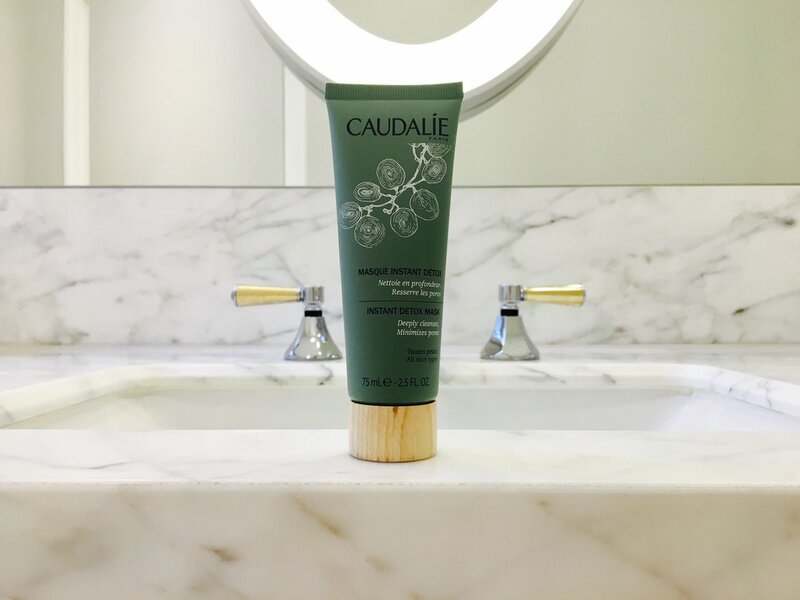 If you haven’t fallen asleep yet, apply a generous layer of Caudalie detox mask. Every pamper night needs a mask, something detoxing to help get rid of a multitude of sins. This is brilliant because your skin looks and feels refreshed and radiant. It doesn’t make your skin feel tight or stripped in anyway and unlike some detox mask it doesn’t draw out every flippin spot and it’s mate. It does dry and go completely hard, which I kinda love. Lie back in your bubble bath and let it work it’s magic. Once you’re super relax and you’ve removed your mask before its dried so hard you need a chisel to remove it. Grab a fluffy robe and the Divine Oil for face, hair and body. Massage a generous amount to your entire body. A little tip if you’re particularly dry apply to skin while you’re sill wet, the oil will help to lock the moisture in. This stuff works great on hair too. I like to apply a generous about to the ends and leave over night. More tips, add shampoo to the ends of your hair before you wet it to help break down the oil and then continue as normal. Sounds crazy but trust me it works. Your pamper is nearly at an end but we still have two more treats to go. 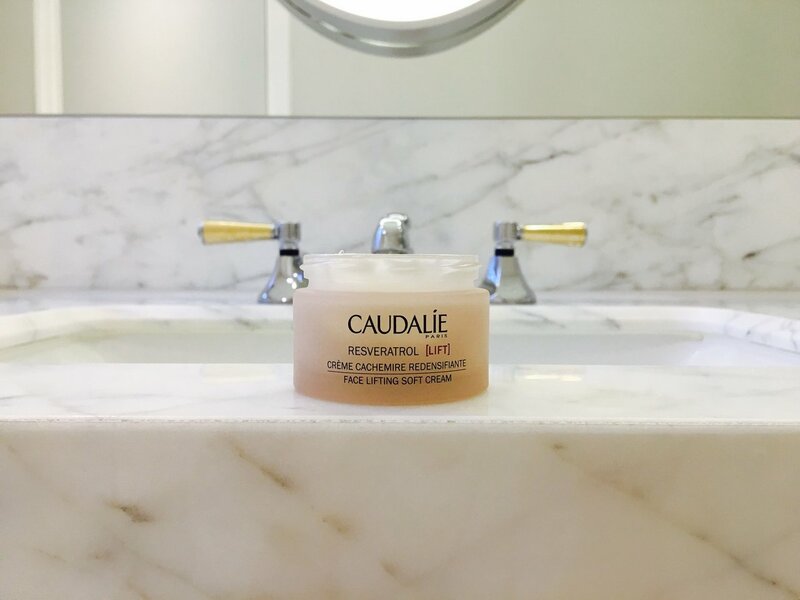 The new Resveratrol lift cream is perfect those that need a little lift and those of us that are panicking already and doing everything to prevent the worse. It’s soft and light instead of feeling thick and heavy. 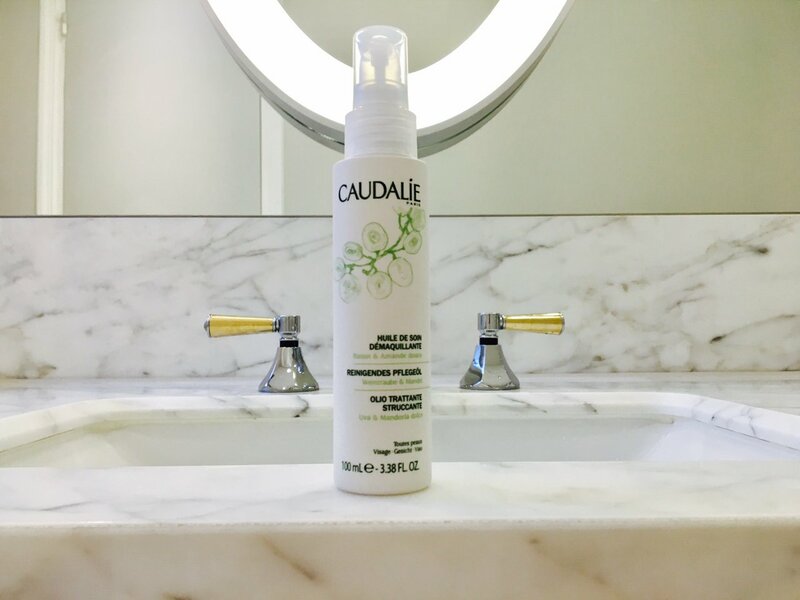 It’s got Caudalie’s favourite, grape seed oil as well as my favourite for lots of hydration, Hyaluronic Acid and Resveratrol to repair. Finally the Beauty Elixir. Some may find it unnecessary but as well as having skin care benefits this just makes me feel so relaxed, I smile every time I use it. The scent has spa written all over it. It’s refreshing yet calming and as well as being the perfect treat for your skin it’s great for setting your make up. 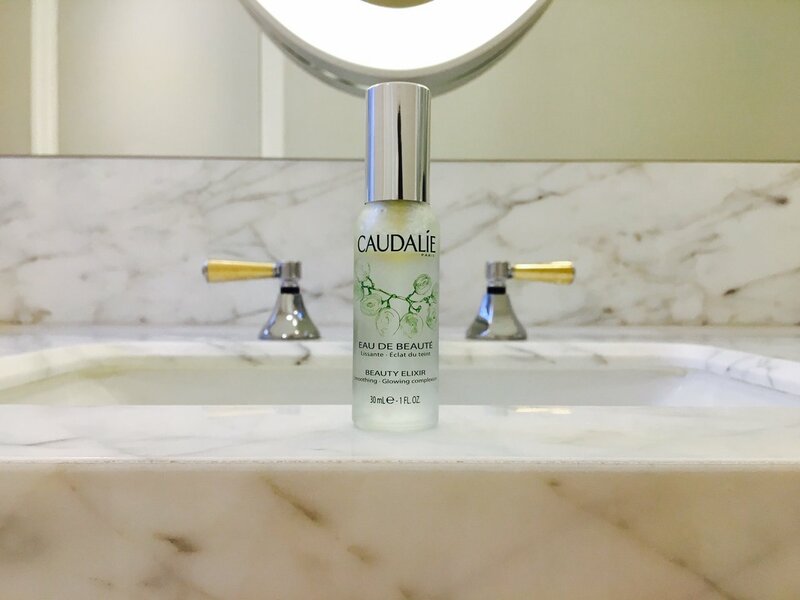 Take it with you everywhere for skin pick me ups through out the day or a calming spritz if you’re feeling stressed. We all have plenty of those days. Thank you so much to Jo from Bindon Abbey Wellness Retreat, for sending me some of these beautiful products and inspiring this post. Let me know in the comments what your favourite pamper treats are and be sure to subscribe via the blog lovin’ button so you don’t miss a post. What a fabulous blog, full of top tips for this brilliant range of luxurious products!! It was my pleasure to send them to you Rachel! !